More than 100 volunteers at HomeStart have ‘befriended’ families across Tameside to help make the daily struggle a little easier. The team of specially-trained volunteers offer flexible and practical support to children and their families who are referred by health or social work professionals – or simply ask for help themselves. Typically support might involve help to become more organised or to access services, playing with the children or helping parents to attend appointments. 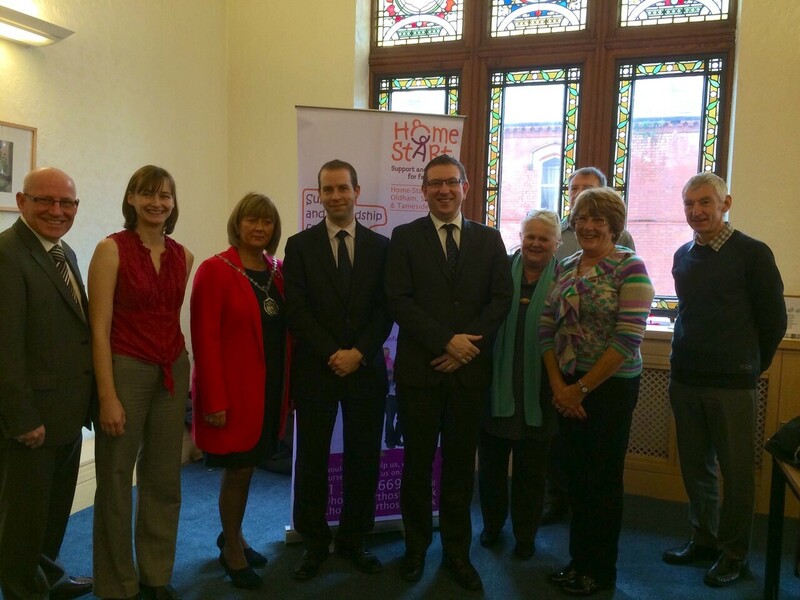 And at their AGM, MP Andrew Gwynne joined staff and volunteers to help them celebrate their ongoing success. Over the past 12 months 117 volunteers at the Audenshaw-based charity – which covers the Oldham, Stockport and Tameside areas – have worked with 180 families. This year, they have launched a project designed to encourage women to breastfeed. Furthermore, Cllr Allison Gwynne – the Executive Member for Children’s Services on Tameside Council – has provided a £2,000 donation from her budget to support HomeStart’s activities in Tameside. After the formalities of the AGM staff, volunteers and guests celebrated the successes of the year – with volunteers being recognised for volunteering for 50,100 or 150 hours during the year. “HomeStart is a remarkable organisation that gives real and practical support to help families with young children. “While most of us, most of the time can rely on the support of friends and family when we go through tough times, HomeStart is there when that’s not possible. “Being a patron of Tameside and Stockport Homestart is a massive privilege, and I am proud that the headquarters is based in Ryecroft Hall in Audenshaw. Nationally the network of HomeStart UK organisations has 16,000 family support volunteers who help 32,000 families every year. HomeStart – which began in Leicester – now operates in 22 countries in five continents. For more information about HomeStart go to www.homestartto.org or call 0161 344 0669.